A Roe deer in our neighbour garden. No body lives there atm, so they often hide in the back where they can be undisturbed. This one got some net tangled in his antlers. 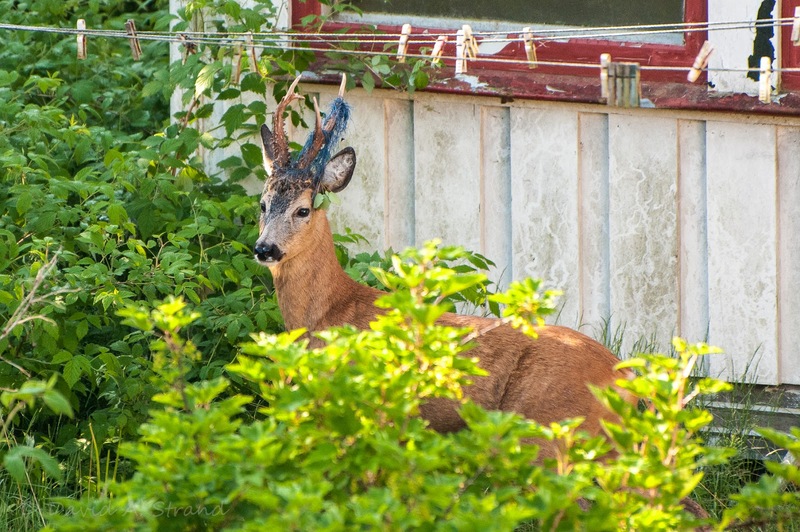 Even though they are beautifully animals, they usually come and eat our tulips, other plants and vegetables in our kitchen garden.